Kennedy, John Fitzgerald (1917-1963) and Jacqueline Lee Bouvier Kennedy (1929-1994) Inaugural Addresses of the Presidents of the United States from George Washington to John F. Kennedy, Signed Presentation Copy. Washington, D.C.: Government Printing Office, 1961. 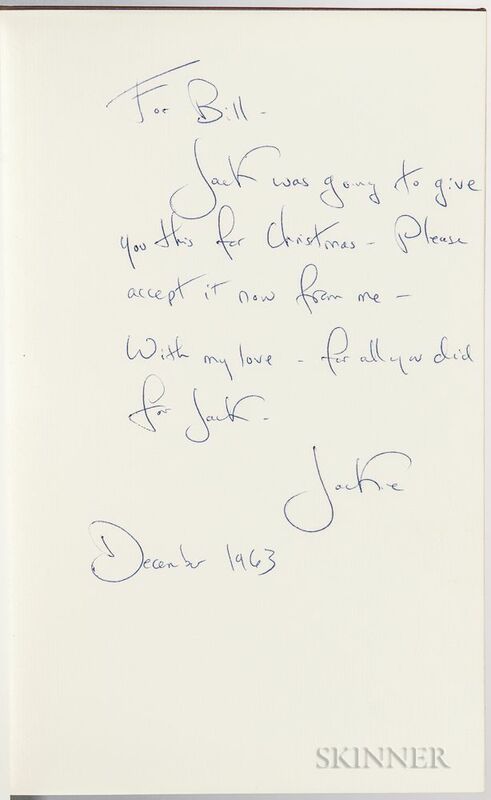 Inscribed by Jacqueline Kennedy to William Edwin Walton (1909/10-1994), "For Bill, Jack was going to give you this for Christmas. Please accept it now from me. With my love, for all you did for Jack. 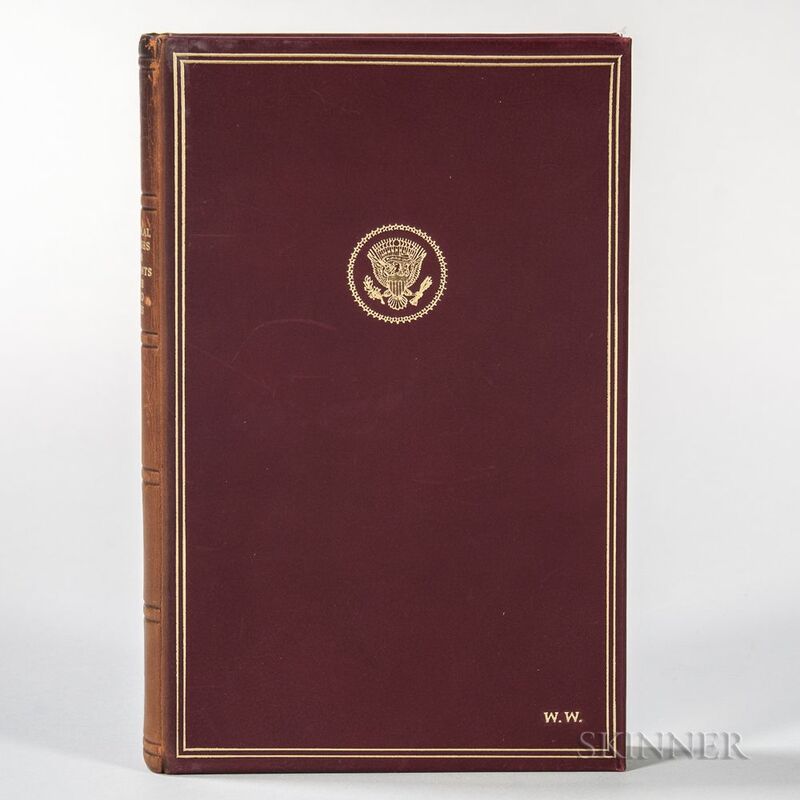 December 1963, Jackie" one of eighty-five copies specially bound in full leather and tooled in gold with the Presidential seal, and with Walton's initials tooled in gold on the front board, housed in the original marbled paper slipcase, spine sunned, 9 x 5 1/2 in. John Fitzgerald, George Washington, Jacqueline Kennedy, Jacqueline Lee Bouvier Kennedy, William Edwin Walton, Bouvier, Bouvier family, Genealogy, Jackie, Jacqueline, Jacqueline Kennedy Onassis, John F. Kennedy, Kennedy, Kennedy family, Surname, United States, Washington, D.C.